When transitioning my skincare for the cooler months, one type of product I always make sure to add is a retinol of some sort. I tend to cease usage during the summer because of the correlation between retinol and increased photosensitivity. While this is something that can be offset by attentive sunscreen application, I'd just rather not take any chances but I can think of no better addition to my routine to revitalize my skin at summer's end. Retinol is another name for Vitamin A which it is derived from. It is a form of retinoid. Retinoids are is held in high regard as a skincare ingredient and often recommended by dermatologists because they have been clinically proven to promote cell turnover to improve the appearance of fine lines and wrinkles. Additionally retinoids are also beneficial in boosting collagen production which aids in evening out discoloration and brightening dark spots, smoothing overall skin texture and unclogging pores. Retinols do all this by effectively triggering cell turnover to reveal fresher skin which is also why they can be helpful in treating acne. Retinoids have come a long way and because they're available in various grades (both prescription and over the counter), in different percentages, there is a retinol for every skin type. It is safe even for those with sensitive skin. If you're looking for an anti-aging solution that will reduce wrinkles, fine lines and dark spots, look no further than retinol. Just be sure to use a sunscreen with SPF or higher while treating your skin with any type of retinol product. My current retinol of choice is KARYNG Retinol Renewing Serum. 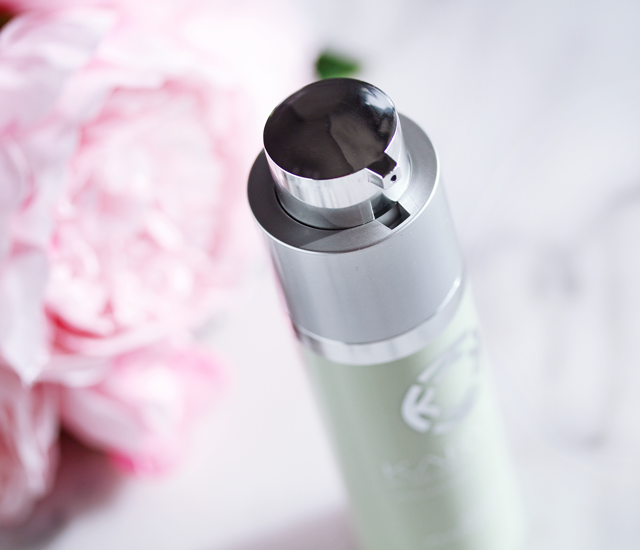 KARYNG by Dr. Grossman may sound familiar because I spotlighted the brand created by dermatologist Karyn Grossman awhile back. Their Complete Broad Spectrum SPF 50 is still one of my daily skincare staples. 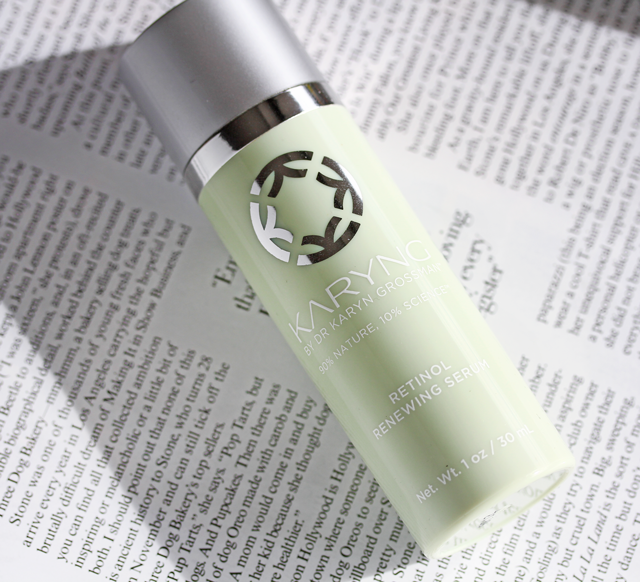 KARYNG Retinol Renewing Serum is appropriate for all skin types. As with the rest of the product range, it is formulated with Pro-Verte Technology, a proprietary complex of powerful natural anti-aging and anti-inflammatory ingredients designed to combat the visible and harmful effects of inflammation while working to repair and restructure skin. Retinol in KemSpheres .2% is delivered to the skin via an enhanced system that stabilizes retinol and significantly reduces irritation. The formulation boosts the effects of the retinol with p-REFINYL, a natural plant derived ingredient that is clinically proven to reduce pore size, AcquaCell, a natural fruit complex that provides 24 hours of skin hydration in one application while significantly reducing fine lines after 2 hours, Licorice Extract that provides anti-inflammatory properties while helping melanin production to improve dark spots and hyperpigmentation. Coconut Oil and Ceramide 3 provide, long lasting deep moisture and protect the skin’s natural barrier functions. This product has been part of my evening skincare routine for just over a month. Retinol is best used at night because of the increased sun sensitivity. It has a velvety consistency with a very faint herbal-like scent. I was initially struck by how nourishing it felt upon application. I haven't experienced any dryness or sensitivity while using it. This serum promises increased firmness and elasticity in just 15 days and I have to say that I did see these results as well as an overall improvement in my complexion in that amount of time. All without any dryness, redness or irritation. Most OTC retinoids take a minimum of 8 weeks to present results so this is very encouraging. The positive effects have continued since then and my skin appears more toned and brighter. I'm most pleased with the refined look of my pores as well as the lightened appearance of the freckles which is my most vexing skin issue. I really have to credit this retinol serum along with the ultra moisturizing HA7X Multi-Molecular Hydrator Serum that I've been pairing it with for the current state of my skin. I'm realizing my dream of better skin = less makeup. I'm a big fan of the elegant airless pump packaging which locks down and opens up with a swivel. It dispenses the perfect amount of product hygienically and looks great in my bathroom cabinet. There is nothing I don't like about this product. The unique 90% natural and 10% bioengineered formulation is cruelty-free, vegan and free of parabens, petroleum, pesticides, propylene or butylene glycols, phthalates, BPA’s, PEG’s, TEA, DEA, GMO, glutens, and synthetic fragrances. This serum is suitable whether you've used retinols before or if you're introducing them for the first time. 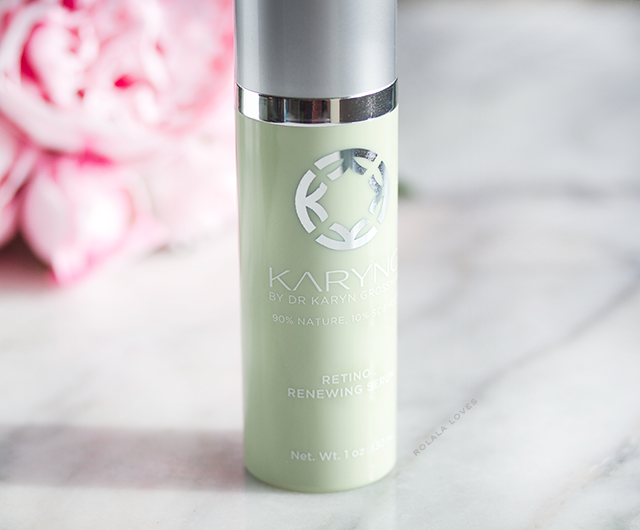 KARYNG Retinol Renewing Serum retails for $89 and it is available from the KARYNG website. Do you currently have a retinol product in your skincare routine? How is working for you? Disclosure: This post was sponsored by KARYNG and a press sample was provided for review. All opinions are my own. For more details about my product review policy, copyright, and information about affiliate links, please refer to the Policies page of this blog. Yep, I use a retinol product from Paula's Choice. I still don't know if it's actually doing anything, but I've been using it for a while and I don't want to find out what my skin acts like without it, so I just stick with it, haha. I will like to try it even though so many people are backing away from retinol for whatever the reason. I believe if the product works for the skin go for it. PS Finished CITY HALL last night! I ended up marathoning it for a few nights:D Holy guacamole. Min Rae and Joh Guk have got to be of the my all-time fave characters, and will be probably be re-watching a few of the episodes (especially the last one.....squeeeeeee!). There may be an upcoming post about how much I loved it. Cheong mal goma woyo, sunbae! Love Retinol but haven't had a chance to check this one out! It sounds like a great product! It's definitely tough to use retinol, especially here, but I will think about reincorporating it at night. I definitely need to even out my skin tone and up that collagen! Great to know that you are happy with this product. I don't know if I'm using any products with retinol. Have to check that. 15 days is a great time to see an improvement, the product sounds great! I use both retinol and retinoid, once a week for both. I have been using retinol for years but only started retinoid a few months ago and I swear it made a huge difference in my skin. I'm not using retinol in my skin care at the moment, but maybe I should. I didn't know that is a form of vitamin A. It was really interesting to read that! very informative post...I think I actually remembered a few things...like what it does for the skin and why it is best to use it at night. that serum sounds lovely! btw you're right... the better our skin looks, less we feel the need for make up to cover it up..and we can use make up only to be creative. 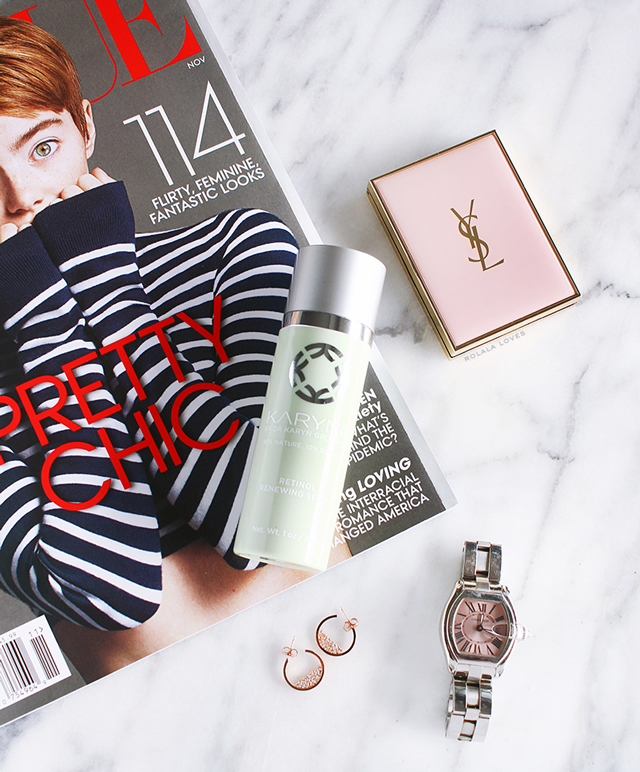 I've never ever used a Retinol product - because I was so scared of what they were! Glad to hear that it's not really something to be scared of. I would love to fade some of my very prominent freckles. Will have to look into some sensitive-skin ones! I need a new serum I am out, I may look in to this. Yes it good to take breaks from retinol though it can do wonderful things I hear it can also thin the skin over time. So it is good you take the summer off. Awesome you saw an improvement so quickly - it sounds like a great all-round product! I wouldn't use it due to the sun issue - the sun is bad enough here even with SPF you have to be careful. I wonder if that's why I haven't seen man of this kind of product in Australia? Wouldn't want anything that would increase my sun risk! This product sound awesome Rowena. I do use a retinol-based moisturiser, as my mum used one and told me about retinol growing up. I typically use it as a daytime moisturiser but just occasionally. Thanks for your review. I still don't use retinol after some scary experiences, I am all into hyaluronic and very happy with all the products, esp the new sheet mask I've got recently. They are pricey but they are worth their money. Maybe some day I might go back to retinol serum. I started using a retinol in the beginning of 2016, after delivery, and while I liked the effect, I wasnt blown away. Due to stubborn cystic acne I got a prescription strength retinol in November and wow, that one really makes a difference. Sadly it dries out my skin as well, so I need a lot more moisturizer than I previously did. I haven't user any products with retinol or at least I don't think I've used any. Thanks for sharing this information! This sounds just so perfect. I am definitely going to try some retinol cream and this sounds promising ! I currently don't, so I need to try this! I have some fine lines and this could really help. Saving this post. Thanks Rowena. Amazing product, Rowena! And thanks so much for the thorough review of the main ingredient, Retinol here. Yeah, I do remember reading another product from the same brand some time back and you did love it. Reduce pore size immediately caught my attention, haha *_^ that is one of my skin concerns, besides pigmentations and dark spots. I am equally impressed by how natural and chemical-free nature of this one!! Sounds like you have found your super wonderful product which could address your concern, so good. Thanks for the lovely words, yes, I guess we do need some form of great conversations within ourselves once in a while, and I am so excited to here that winter is finally showing her presence over there at NYC for you all. It is one of the most enjoyable seasons for me - Christmas though we don't celebrate it in a grand scale, but we do enjoy the wine and the love that it brings along, especially the beautiful decorations and lights and all. Looking forward to seeing how you and family would be celebrating this wonderful occasion. Till then, take good care and have fun for the weekend!